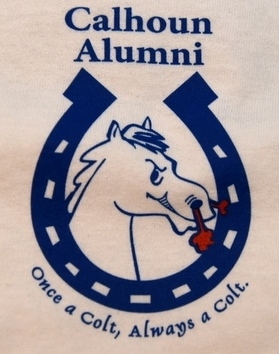 The Calhoun Alumni Association is now selling it’s brand new Alumni T-shirt. The T-shirt is made of 100% cotton and can be purchase online securely through PayPal or by sending a check payment (including shipping fees) to CAA, 1786 State Street, Merrick, NY 11566. Shirts are also available for local Merrick pick-up, please email calhounalumni2@gmail.com for availability and directions. The Calhoun Alumni Association is also selling two styles of t-shirts, Calhoun Soccer Alumni and Calhoun Football Alumni. Both styles are available to purchase online securely through PayPal or by sending a check payment (including shipping fees) to CAA, 1786 State Street, Merrick, NY 11566. Shirts are also available for local Merrick pick-up, please email calhounalumni2@gmail.com for availability and directions.